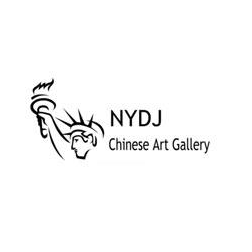 NYDJ Chinese Art Gallery is located in Central Park South, a picturesque yet exciting vicinity of New York City. The gallery, with its team of established specialists, aims at promoting cultural exchange between Chinese art lovers, established artists and connoisseurs. To a great extent the gallery is proud of its significant connections with many leading Chinese art museums and private collectors, at home and abroad. Its business includes consigning quality contemporary and traditional Chinese art for exhibitions and auctions, while providing professional service on appraisals of Chinese paintings, bronzes, porcelain ware and various works of art. The current auction of NYDJ Chinese Art Gallery presents 15 masterpieces on figure and landscape painting as attributed to Zhang Daqian, painting master of our time. They are consigned from prestigious Chinese art collectors throughout North America. The gallery has also consigned a great many beautiful Chinese paintings and calligraphy attributed to famous artists like Wen Zhengming, Tang Yin, Du Jin, Da Mingyue, Zhu Da (Ba Da Shan Ren), Wang Jian, Wang Wu, Zheng Xie, Qing Emperor Qianlong, Fu Baoshi, Lin Fengmian, Qi Baishi, Liu Guiling, Pan Tianshou, Huang Zhou, Lu Yanshao, etc. Such an unusual art legacy, together with Zhang Daqian's 15 masterpieces, will highlight of this auction.